This Place of Worship was founded in 1991, but we understand it was closed in 2004. This congregation was established in 1987, as a prayer group and school. Early meetings were held in a church hall, then later in Scout Headquarters in Tuffley. 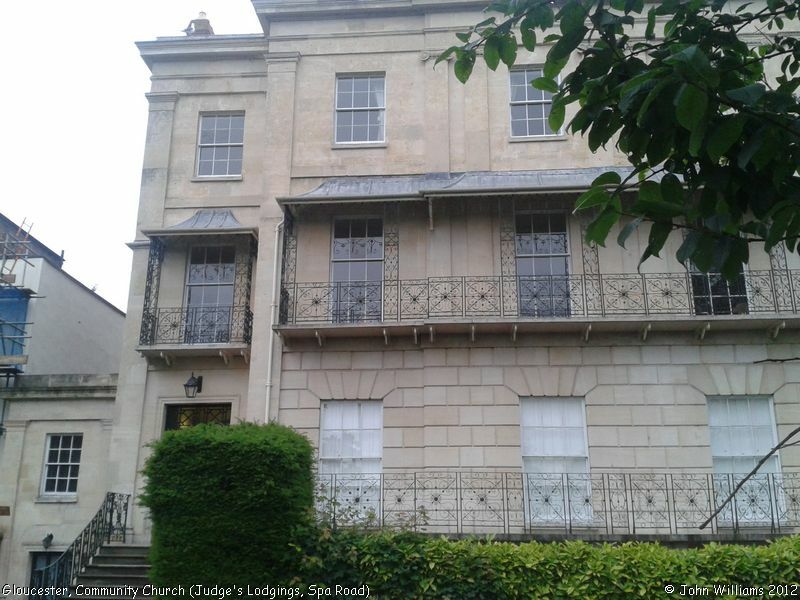 In 1991, the group was adopted by the Gloucester Christian Fellowship (GCF), and in 1995, members of the church financed the purchase and renovation of 29 Spa Road ("The Judge's Lodgings") in Gloucester, as more permanent accomodation for both church and school. This continued until 2004, when the GCF (which was renamed Gloucester Community Church in 2001) decided to sell the premises, after which both church and school moved outside Gloucester, to Beauchamp House, near Churcham. Since then, a new "Gloucester Community Church" has opened in Gloucester, in the former St Luke's Methodist Church in Stroud Road, so this may be a return to Gloucester of the former church. 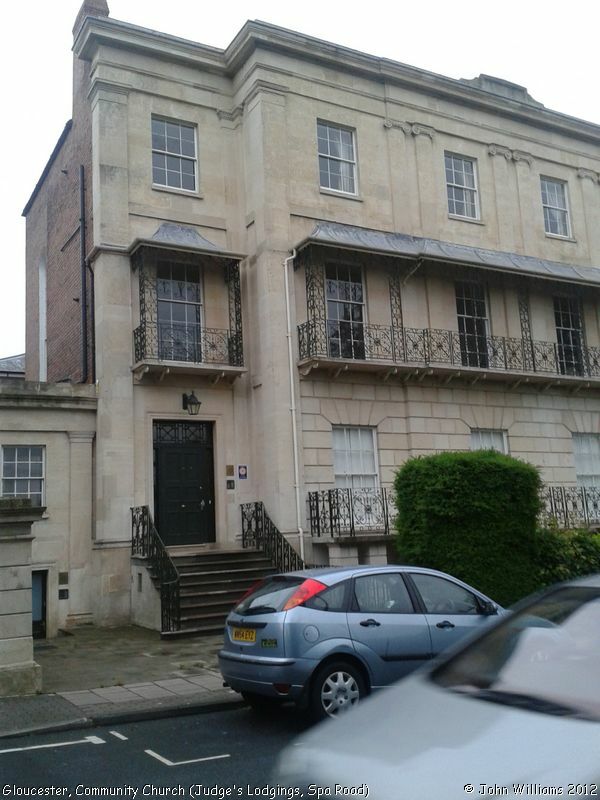 The Judge's Lodgings occupies a pair of semi-detached houses at 29-31 Spa Road, built in 1833-39 by Sir Robert Smirke for John Phillpotts. It was converted to Judges Lodgings in 1864, to provide accomodation for Judges who sat at the Gloucester Assizes. It became a Grade II Listed Building in 1952, and since its sale by GCC in 2004 it has been converted into apartments. Now or formerly Community Church. Gloucester Community Church, Gloucester shown on a Google Map. Information last updated on 6 Nov 2011 at 13:40. This Report was created 27 Mar 2019 - 15:25:51 GMT from information held in the Gloucestershire section of the Places of Worship Database. This was last updated on 7 Feb 2019 at 07:45.